Sarah Wilcox recently stopped at Raoul Island while on a trip to the Kermadec Islands. She writes about the day she spent with the DOC team on Raoul. 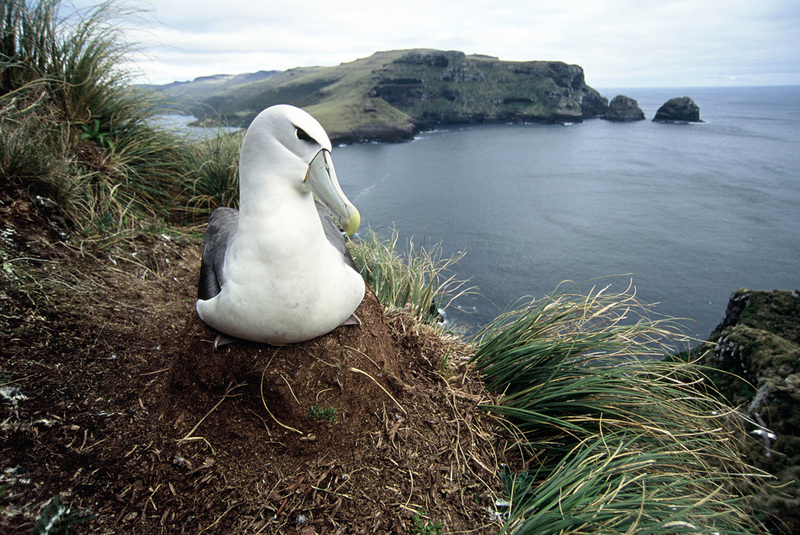 This week’s photo shows a white-capped mollymawk sitting on a nest in one of the planet’s most unique and special places — New Zealand’s subantarctic Auckland Islands. On Monday, 12 young New Zealanders set off on a 13-day voyage to the Auckland Islands, where they will help to plan the building of a world-leading research station. They will be joined on the Young Blake Expedition by a crew of leading New Zealand marine scientists, representatives from the Department of Conservation, NZ Navy, NIWA and the Sir Peter Blake Trust. The Young Blake Expedition programme aims to follow in the footsteps of Sir Peter Blake and to mobilise and inspire the next generation of kiwi leaders, adventurers and marine environmentalists. Join us as we follow the expedition. This photograph of the Antipodes parakeet was taken by University of Auckland scientist, Dr James Russell. Dr Russell is leading the recently departed expedition to the Antipodes Islands that will lay the groundwork for the removal of mice from this remote nature reserve. Their research will fill gaps in knowledge about the mice and effects of their removal on some of the island’s special native species, in particular the two parakeets—Antipodes and Reischek’s parakeet—which are found nowhere else. They will also gather baseline data to chart ecosystem recovery once mice are gone. Follow the expedition to the Antipodes on James Russell’s blog. 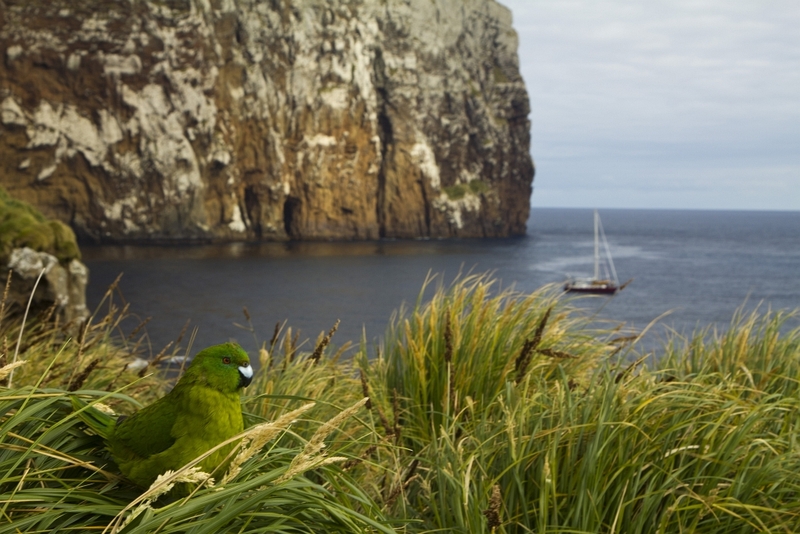 The Million Dollar Mouse campaign aims to raise more than a million dollars towards the Antipodes Islands mouse eradication project. The fund currently sits at $819,000 with all public contributions matched dollar for dollar by philanthropists Gareth and Jo Morgan. For more information, and to make a donation, visit the Million Dollar Mouse website. If you have a great, conservation related photo you want to share with the world (or at least the readers of this blog) send it through to us at socialmedia@doc.govt.nz.